Sava Savanovic was commonly believed to have resided in a shack on the river Rogacica in Zorozje village, which is found in the Bajina Basta province of Serbia. Local legend states that he would attack and drink the blood of innocent travellers and peasants who came to mill their grain in the local watermill. By all accounts, the family who eventually bought the mill were scared of using it as a mill and, instead, turned it into a tourist attraction that was open only during the day. Tourists came by the millions, and the rundown mill became one of the most profitable businesses in the area. Unlike other vampires, though, Sava Savanovic was not killed off by peasants or by the lord of the land. He just suddenly stopped his murderous ways. Over the years, the family wouldn’t repair the mill—they were terrified of unleashing the vampire on the local municipality; but without maintenance, it finally collapsed. Since the mill’s ruin, local government in Serbia has ordered all locals to put a cross in their home and to keep garlic on all entrances to their homes. 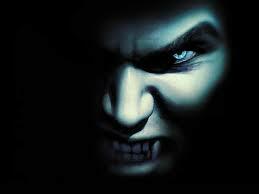 Those who had cashed in on the enduring popularity of vampires are now regretting ever getting involved. It is common belief in Serbia that Sava has returned to rebuild what was once his. The easiest way to develop your characters’ relationships is through introspection. The best authors are able to have their characters challenge their own feelings, realize their own bonds and question their decisions. Why does one character hate another character? Why are they rivals? What would change that dynamic? Authors argue about this all the time, but the best authors, in my opinion, give their characters strong opinions. Is having a strong opinion about something a flaw? Yes. It can be. But flaws are what makes us human, and making your character as human as possible will bring your character to life. People behave differently in groups. You can see that when you hear about mob behavior on the news. People’s decisions can alter on a dime. Non-violent people become violent. Violent people find religion, and so on. The relationships between individuals in a group are varied and make for fascinating character development. Think about it… Are you different now than you were at school? How did you behave with your friends, as opposed to the way you behave by yourself? Writers can spend pages explaining things. One of the most over-explained things is relationships. Leave it alone, and let the reader’s mind take over in the vagueness. Don’t over-explain and kill a scene with too many words. Two Mythical Beasts From Australia You Wouldn’t Want To Meet…. The most famous Australian vampire is the Talamaur who could communicate with the spirit world and could make the spirits its servants to use among the living. The Talamaur was considered a living vampire. There are stories of the Talamaur that say it originates from the Banks Island. These ancient stories tell of a vampire-like beast that can interact with ghosts and bend them to its will. But what is the Talamaur? It was considered to be a soul that went out and ate the souls that lingered around the bodies of the deceased. In many cases, the Talamaur would actually eat the corpse after making a deal with the ghost of the dead person—the deal was that the ghost would be protected against all evils by the Talamaur. The Talamaur was not considered to be odd or unsightly. Many people would claim to be a Talamaur and eat the corpses of the dead after death according to aboriginal legend. The Yara-ma-yha-who is an Aboriginal vampire that was said to take the form of a little red man who stood about four feet tall and had a really large head and mouth. This beast did not have any teeth and legend tells that it swallowed its food whole. According to legend, you could tell the beast by looking at its fingers and toes, which were shaped like the suckers of an octopus or squid. The Yara-ma-yha-who apparently lived in fig trees and, unlike many western vampires, did not actively hunt for food. It just waited for victims to appear in its vicinity and then would drop on them. It would then place its hands and feet on its victim and drain the victim of their blood to the point that the victim was helpless. It would then return later to consume its victim once its hunger had returned. After its meal, the Yara-ma-yha-who would go into a deep sleep. Upon awakening, it would then regurgitate any part of its victim that remained undigested. In many legends, the regurgitated victim would still be alive. The Yara-ma-yha-who would be used by parents to discourage their children from wandering away from the tribe. Many legends said the Yara-ma-yha-who preyed on children, and parents would tell their children not to fight the monster—but to let it swallow them as their chances of survival were much higher that way. Since the Yara-ma-yha-who tended to regurgitate its victims alive, people did survive its attacks. However, as the legend explains, it made them more susceptible to being attacked again in the future. Each time a person was captured by the Yara-ma-yha-who, they would shrink slightly until they were eventually the same size as the creature. It was also said that over time their skin would become very smooth, and then they would grow hair across their body and gradually be changed into a creature of the forest. 500 words per day is plenty. John Grisham began his writing career as a lawyer. He got up early every morning and wrote one page. You can do the same. Write up a table of contents to guide you. Then break up each chapter into a few sections. Think of your book in terms of beginning, middle and end. Anything more complicated will get you lost. If you need help, read Do the Work by Steven Pressfield. If you want to take a day or two off per week, schedule that as time off. Don’t just let the deadline pass. And don’t let yourself off the hook. This needs to be different from where you do other activities. The idea is to make this a special space so that when you enter it, you’re ready to work on your project. It can be a word count, percentage of progress, whatever you’d like. Just have something to aim for, and someone who will hold you accountable. It seems like each year everyone makes New Year resolutions—and many of them manage to break them. This year I would like to share my five tips that may help you keep your resolution. Take a look and see if you can turn your good year—into a great year! Join for a chance to meet new authors, fellow readers and tons of contests & prizes. What better way to start off 2016 than with a Book Bash Author Party! Come to the party and possibly leave with prizes!